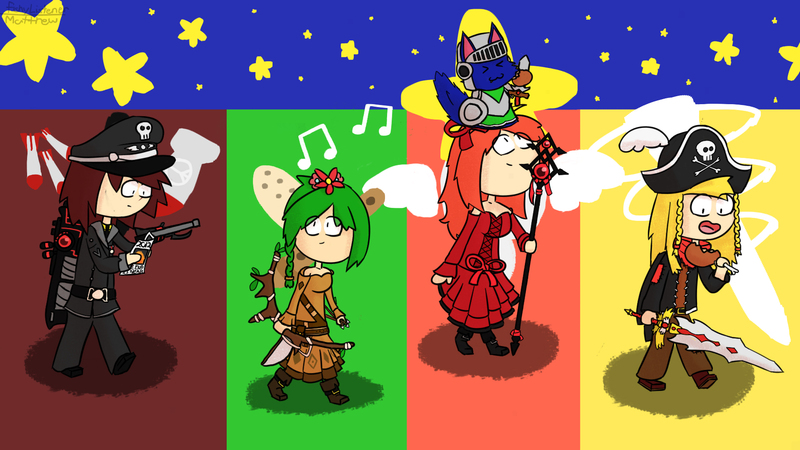 Here’s some excellent fanart from FishyListener! 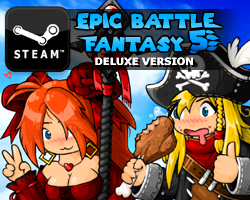 I’m working on compressing EBF5 so that I can put it on my website without DDOSing myself. The public beta should be up in the next few days. Also I’m playing Roller Coaster Tycoon a lot. This entry was posted in Fanart on August 15, 2018 by Matt Roszak. What do you think how long it will take before full release when public beta is out? What would “public beta” include? OHH MY GHAAAWD!!! THE BETA WILL BE HERE SOOON!! JUST A LITTLE BIT MORE! I have want to try out the public beta, half want to save it for the true release! Is there a way to delete comments on this site? Epic battle roller coaster tycoon confirmed? Upload it somewhere public like DeviantArt or Tumblr and send me a link. So, will it be a Patron-only beta, or will it be accessible by everybody? 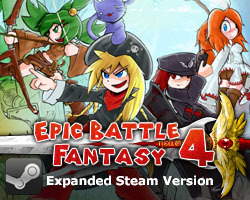 It’s going to be released on steam first for 15 dollars where you get a bit more content (such as a harder dungeon) and then after a few weeks it’ll be released on free sites such as kongregate! so youre asking if the public beta is a private beta? Hi KUPO，I am a Chinese fan of you.I think I have to apologize to you after I see the description about China（well，the pirate）.But I want your understanding,too.This condition is decided by the social and historical reasons,most of Chinese don’t havecopyright awareness now,it’s still a long way to go.The only thing I can do is just to support legal copies.